Mail to 2130 E. Main Street, Montrose, CO 81401. Under general supervision, provides professional nursing care to clients at the Crisis Walk-In Clinic. Works with clinical and case management staff to coordinate care and assist in treatment plans for clients; performs other related work. CMH is opening a Crisis Stabilization Unit, Walk-In-Clinic, and Withdrawal Management Unit in Montrose in early 2019. The 24/7 facility will serve people in crisis for stabilization, evaluation, and acute mental health and/or substance use treatment needs. Assists the ES Program Manager in the coordination of the crisis services system within the Center, compliance with state OBH rules and regulations. Oversees the Center’s crisis transportation and peer respite program. The goal of the Center’s crisis services system is to respond to emergency phone calls and face-to-face evaluations 24 hours a day, seven days a week, and to divert hospitalization whenever possible by utilizing alternative care. Utilizes a variety of treatment, educational, and evaluative approaches to work with a diverse population of clients. Delivers and documents individual, group, and family therapy; crisis intervention; and case management services in an outpatient setting. The Medical Services Manager will manage the Medical Services team and resources for prescribers, clients, and Center staff. This RN position will work in conjunction with the Medical Services Management team to oversee resources for medical staff providers, clients, and Center staff. Identifies, develops, and implements strategies for improvement within the Medical Services department. Responsible to provide crisis services to people of all ages who present themselves to the CWC with a self-defined mental health crisis. The Walk-in Clinic Clinician will conduct a full comprehensive assessment to make recommendations for level of care. CMH is opening a Crisis Stabilization Unit, Walk-In Clinic, and Withdrawal Management unit (CWC) in Montrose in early 2019. The 24/7 facility will serve people in crisis for stabilization, evaluation, and acute mental health and/or substance use treatment needs. This licensed therapist position utilizes a variety of treatment approaches to work with a diverse client population. Service goals include, but are not limited to, providing prevention, early intervention and treatment services to persons referred by staff at Pediatric Associates, to improve the functioning and coping skills of individuals and families. Will also link clients to other services and agencies in the community. The PRN Peer Respite Transport Specialist is a person with lived mental health experience who provides as-needed companion care during crisis transportation to and from inpatient psychiatric facilities. Service goals include using personal recovery experiences as a means to help others diagnosed with a mental illness find their own recovery process. The PRN Peer Respite Transport Specialist is part of a multi-disciplinary team that participates in the planning and organization of individual and group activities that promote a range of self-help skills. Hourly rates: $4/hr on call; $12.50/hr respite care; $20/hr transportation. Responsible for providing 24-hour emergency services response to assigned areas within The Center’s catchment area. Responsible for responding to client requests for services within the Emergency Access guidelines. Under the supervision of the Director of Nursing, the Nurse Manager oversees nursing and medical assistant staff at the CWC. Develops and implements policies and procedures to create a work-flow that is effective and efficient providing excellent client care. Supports, coaches, and role models all aspects of nursing care. Provides prescribed medical treatment and nursing care interventions while evaluating and monitoring outcomes. Empowers staff by delegating responsibility/authority to those demonstrating competence in decision making. Works closely with the mental health team to complete mental health assessments. Gathers and prepares appropriate documentation to support the ongoing functions of the CWC. Assures compliance with current state and other professional organizational standards. CMH is opening a Crisis Stabilization Unit, Walk-In Clinic, and Withdrawal Management unit (CWC) in Montrose in early 2019. The 24/7 facility will serve people in crisis for stabilization, evaluation, and acute mental health and/or substance use treatment needs. Provides a broad range of support to ensure clients are as comfortable as possible during their time spent at the Crisis Walk-In Center. Duties include engaging clients in specialized care, some case management, and providing administrative support. CMH is opening a Crisis Stabilization Unit, Walk-In Clinic, and Withdrawal Management unit (CWC) in Montrose in early 2019. The 24/7 facility will serve people in crisis for stabilization, evaluation, and acute mental health and/or substance use treatment needs. Participates with a multi-disciplinary team to deliver medical services to the clients of the Center and the CWC. Also serves in a consulting capacity to agency staff and other healthcare providers. The Center for Mental Health is opening a Crisis Stabilization Unit, Walk-In Clinic, and Withdrawal Management unit (CWC) in Montrose in early 2019. The 24/7 facility will serve people in crisis for stabilization, evaluation, and acute mental health and/or substance use treatment needs. This position is part of a multidisciplinary team that provides comprehensive psycho-social services designed to improve or maintain clients’ ability to function in the community. Assesses, monitors, and follows up with clients’ psycho-social/mental functional ability to meet basic needs to move toward recovery. Responsible for all clinical documentation of client interactions. Starting salary: $24,187 annually; commensurate with education and relevant experience. Responsible for administrative and clinical supervision of staff, as well as overseeing operations of the office and collaboration of services within the community. Responsible for providing emergency services response to the Gunnison County area on call as needed. Responsible for responding to client requests for services within the Emergency Access guidelines. Provides a broad range of office duties, medical services team duties, and administrative support, as directed by the Front Desk & Call Center Manager and Medical Services Team Lead, to facilitate the operation of the Crested Butte office and medical services team. Includes facilitation of new and existing client records, supporting clinical staff by managing all non-clinical and administrative paperwork, collection of payment for services rendered, collection of vital signs and completion of regulatory paperwork, interaction with all departments within the company, and other community agencies. Utilizes a variety of treatment, educational, and evaluative approaches to work with a diverse population of clients, primarily with clients with substance use disorder issues. This may include services in the jail, DUI classes, Drug Court, and other community/grant projects. Delivers and documents individual, group, and family therapy; crisis intervention; and case management services in an outpatient setting. Utilizes a variety of treatment approaches to work with a diverse student population. Services include, but are not limited to, individual, group, and family therapy; social-emotional group activities & skills groups; behavioral supports; crisis management; care coordination; and consultation. Delivers and documents these services in school based and outpatient settings. 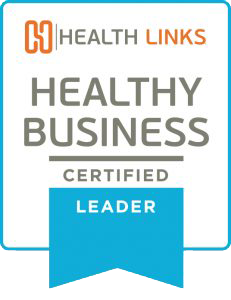 In 2015, The Center for Mental Health was recognized by Health Links as a Certified Healthy Business Leader. To become certified, the Center had to demonstrate that we met evidence-based benchmarks in leadership commitment, employee involvement and basic resources dedicated to running worksite wellness and safety activities. The Center is dedicated to offering employees an exceptional work environment, and offers competitive salary and benefits. Many of the Center’s locations are approved sites for student loan repayment assistance with the Colorado Health Services Corps and the National Health Services Corps. Ask HR about specific locations.